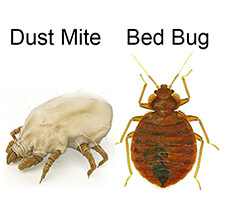 Bed bug removal is not as easy as it may seem. These thirsty little bloodsuckers are experts at getting into the cracks and crevices in your bed, furniture, luggage and even clothing. Meaning that even the most thorough inspection cannot provide 100% certainty that there all bed bugs have been removed from your property or business. Even local pest control experts are not usually trained in bed bug removal, and often the toxic chemicals they use are ineffective against bed bugs as was found in a recent clinical study by leading Australian Entomologist and Bed Bug expert Stephen L. Doggett. There is one solution that has been found to be 100% effective for bed bug removal, and that is the Bed Bug Barrier System. The Bed Bug Barrier System consists of a combination of well designed and thought out products that work together to provide a guaranteed bed bug removal solution. When used together these products are 100% effective and come with a 15-year money back guarantee so you can try the system with complete confidence and no risk. The only registered product in Australia specifically for bed bugs. To learn more about the bed bug barrier system and available products watch this short video.